The 'haunted House' - a Memory of Abridge. 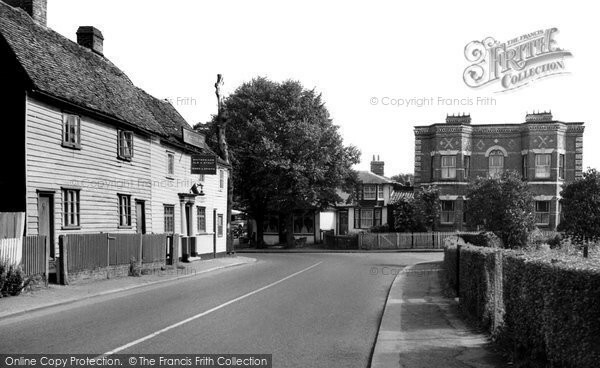 The house referred to as 'The Haunted House' was occupied when I lived in Abridge from 1950 to 1961 (see the memory below). It belonged to the Bayles' family and had a beautiful, but rather wild garden at the back. At the age of 16 my first boyfriend, who lived across the road from me in the larger houses of London Road, was David Kings.....(I can't remember the second half of his surname!) and he was the grandson of old Mr. Bayles. I used to paint a little, and David showed me a black and white photo of the garden of his grandfather's house, and asked me if I could reproduce it in oils - and colour! I remember the garden centred on a large pond which was very 'well established' (probably overgrown!) but with a picturesque bridge across it. I did the painting and they all seemed very pleased with it! A memory shared by Helena Rogers on May 29th, 2010. Send Helena Rogers a message.